Evidence of the growing natural-gas-to-oil ratio is evident in March production numbers. 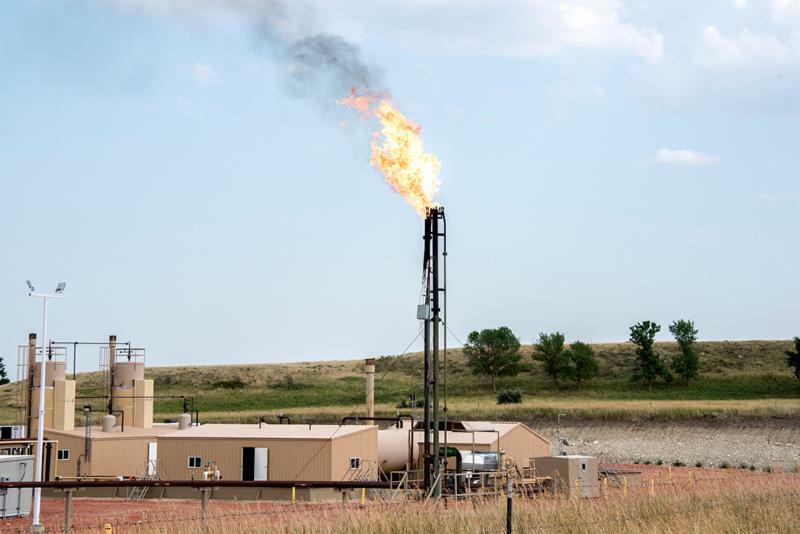 Bakken producers set another new record for natural gas production, even though oil production dipped slightly during the month. Natural gas production averaged 2.116 billion cubic feet per day in March, up from 2.106 Bcf/day in February. March oil production averaged 1.162 millions barrels per day, down from 1.175 million bbl/day in February. Lynn Helms, director of the Department of Mineral Resources, said the dip in oil production was attributable to bad weather. Helms said producer optimism is understandable given the global supply situation. He noted that Venezuelan production has collapsed, sanctions may again be imposed on Iran, and demand for oil is growing. Click here to view Helms’ Director’s Cut. Nearly 2,500 people are expected to attend the 26th annual Williston Basin Petroleum Conference, which opens next Tuesday at the Bismarck Events Center. The three-day event will include a keynote speech from Interior Secretary Ryan Zinke. 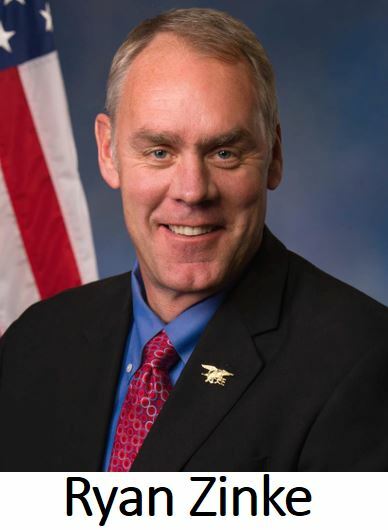 Ron Ness, president of the ND Petroleum Council, said Secretary Zinke has proven himself to be a strong advocate for responsible development of public lands. Click here to listen to Ness’ comments. Ness said the agenda also includes presentations from six of the top eight Bakken CEOs. There will be 270 exhibitors at the conference, including a WDEA booth with information about LoadPass Permits, the association’s uniform permitting system for the movement of oversize trucks in the oil-producing region. Click here to see the WBPC agenda. It’s been termed an “employment crisis” in western North Dakota. "Help Wanted" signs are posted everywhere from restaurants to drilling companies. 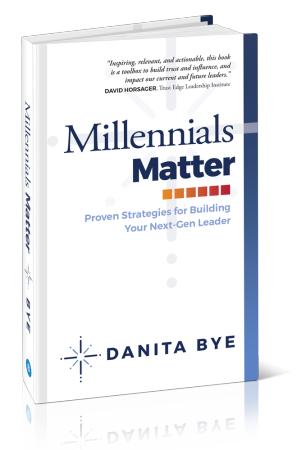 Danita Bye, author of the book Millennials Matter and a board member of the North Dakota Petroleum Council, will help attendees at next week's Williston Basin Petroleum Conference learn how to recruit and retain young workers. “Working with millennials is an opportunity for us as leaders to raise the bar on the workforce and implement what we know,” Bye said. She said they're looking for places that match their vision of the world and where they can be involved. Bye will speak as part of a workforce panel Tuesday, May 22. Lt. Governor Brent Sanford will kick off the session entitled, Growing the Energy Workforce and Advancing Our Western North Dakota Communities. During an interview this week on the radio program, Energy Matters, Sanford said addressing workforce needs is a front burner issue in the governor’s office. Sanford said workforce needs and the Bakken communities are much different than when the oil boom began 10 years ago. The workforce session is scheduled for 1:00 p.m. next Tuesday. 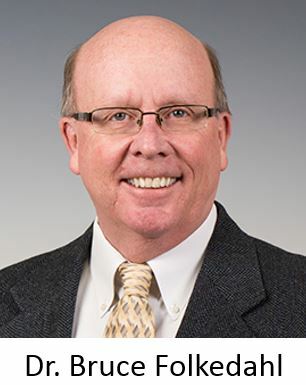 It will be moderated by Rob Lindberg, director of Bakken Backers, and will include a presentation by WDEA Executive Director Geoff Simon, who will summarize growth projections and future needs of Bakken communities. Click here and advance to the 3:00 mark to listen to the full Energy Matters interview with Brent Sanford. The ND Industrial Commission approved a pair of loans yesterday totaling more than $4 million to finance water and sewer projects in the City of Arnegard. The community, located in the center of McKenzie County about six miles west of Watford City, is in the process of developing its municipal water system, and is making improvements to its wastewater and storm sewer systems. The NDIC approved a $1.75 million loan from the Drinking Water State Revolving Fund. City Auditor Juelie Bancroft said the funds will finance Phase 2 of the city’s water system improvements, which include 6,100 feet of water main, nine fire hydrants and 71 new water connections. Bancroft said the city completed the initial phase of the project on the south side of town last year. The city’s water supply comes from the McKenzie County Water Resource District. The Industrial Commission also approved Arnegard’s application for a $2.3 million loan to finance reconstruction of three blocks of sewer main as well as construction of new storm sewer. The project will begin this summer and is expected to be completed by November 2019. 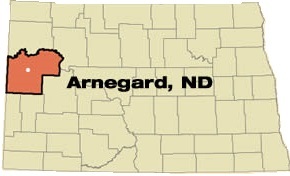 Like other Bakken communities, Arnegard’s population has surged in recent years. The 2010 census lists its population at 115, but the city estimates it at 166 in its application, and Bancroft says the actual number is probably higher than that. Click here to see loan documents presented to the Industrial Commission. The NDIC gave its approval to a total of $605,000 in funding to support the struggling Petroleum Engineering program at the University of North Dakota. The funding was endorsed two weeks ago by the Oil and Gas Research Council. Read more about it in WDEA's May 4 newsletter . The Industrial Commission also awarded research dollars to four separate projects aimed at improving oil production and enhancing environmental protection . Read more about the four projects here . The Lignite Research Council endorsed a project this week that will attempt to develop an economical method of extracting rare earth elements from the ash produced at lignite power plants. Principal Investigator Bruce Folkedahl told the council this week that North Dakota lignite coal has some of the highest concentrations of rare earths found anywhere in the country, and those concentrations are much higher after the coal is burned. Click here to listen to Folkedahl’s comments. Folkedahl, a senior engineer at the Energy and Environmental Research Center, said the valuable rare earth elements can be extracted from fly ash using concentrated acid, but the research team is trying to find a better way. The total cost of the research project is $510,000, of which $400,000 has been secured from the U.S. Department of Energy. Another $80,000 comes from a consortium of coal companies and utilities, and the remaining $30,000 is being sought from the Lignite Research, Development, and Marketing Program. Other project participants include Great River Energy, Basin Electric Power Cooperative and Southern Company Services. Final approval of the grant request must come from the ND Industrial Commission, which is scheduled to meet June 5 in Bismarck. Click here to view the grant application. 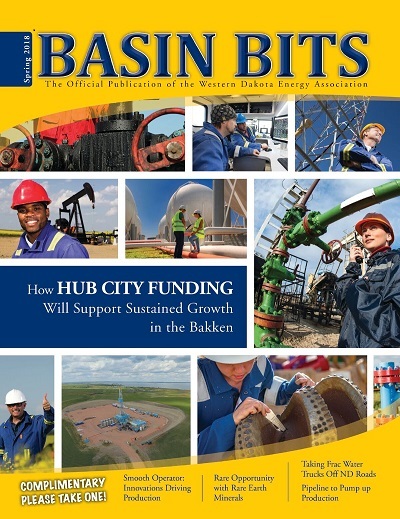 The importance of supporting North Dakota's oil-impacted communities is the feature article in the Spring issue of Basin Bits magazine, which is landing in mailboxes this week. The cover story highlights the fact that North Dakota must compete with other shale plays, so it’s essential that state policy makers continue to invest in the cities, counties and school districts that support the oil industry. “Growing these communities should be a top priority for the use of oil tax revenues,” said Ron Ness, president of the North Dakota Petroleum Council. Other topics covered in the magazine include flexible water lines, Minot’s flood control project, challenges facing emergency service responders in the oil patch, and the opportunity to develop rare earth minerals in North Dakota. WDEA publishes Basin Bits twice a year. Subscriptions to the magazine are free. Those not on the mailing list can click here to view an on-line copy. Click here for an archive of all previous issues of Basin Bits. 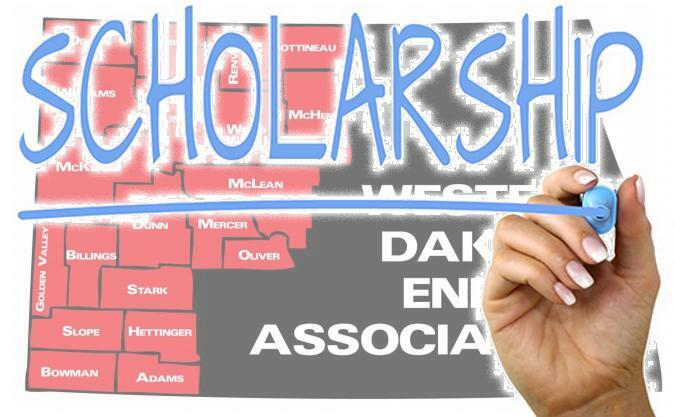 WDEA Executive Committee member Steve Holen said the association is offering the scholarships to help the industry and western communities meet the workforce challenges now being experienced with the surge in oil industry activity. The application deadline is August 31, 2018. Scholarships will be awarded in September.